***Just sharing my post from Wood You Like to Craft? 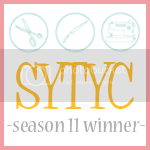 Our theme this month is "Summer", so read on and then jump on over to see what the other WYLTC gals have been up to! Summer can't seem to get here fast enough! I've been ready for it to get here for at least the last month. Hey there all, it's Wendy from Craft Goodies here to share my take on our ongoing "Summer" theme. I have to admit, this one had me stumped for a bit. Summer is just so many things, I just wasn't sure where to go with my project. But, leave it to my girls to help me with that! Every summer, without fail, they ask if they can have a lemonade stand, or popsicle stand, or cupcake stand, or whatever they can sneak out of the pantry stand. I decided to finally be the good mom and help them out with a "Summer Fun Stand" of their own. This one was a recycled project of sorts. As life is super crazy right now, I ended up shopping from my pile of "left over" pieces in the garage instead of the hardware store. I ended up using a few 1x3's, a 1x10, the side panel of a torn apart armoire, and the trim that was once on my bathroom wall. I used wood screws and staples to put it all together. 1. Cut the pieces to size. My girls aren't tall so the overall height of this is 45 inches, the counter is 27 inches from the floor, and the counter is 33 inches long and 19 wide. 2. I used the wood screws to create the base. 3. I added the roof support, notched out where the support fit on the counter top, and then attached the counter top pieces with more screws. 4. The roof pieces went on next--again screwed into place. 5. I cut the trim to fit the sides, front, (the back is open for foot room) and roof, and then stapled them all into place. I left the trim the color it was, so just had to paint the counter top and roof supports. And last, added a bit of generic sale décor so that no matter what they are selling, it will be easy to change--namely a clip board to post the days wears and a fun rag garland.